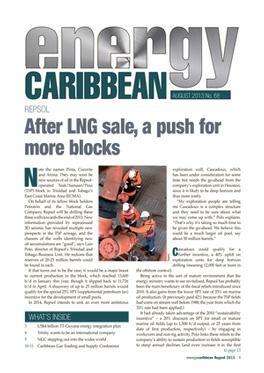 ENERGY Caribbean is the first publication of its type ever devoted exclusively to the energy industry in the Caribbean. Published bimonthly since 2002, it is accompanied by the annual ENERGY Caribbean Yearbook (free to subscribers), a survey of developments in the year in energy gone by and outlook for the year ahead. • Regional industry data, industry news, contracts, international and regional economic context, company news and profiles, personal profiles, comments. Be the first person to tell us what you think about Energy Caribbean and you'll save £2.50 on your next purchase!